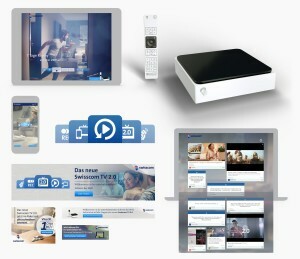 The brief was simple: raise awareness and make it possible for the users to experience the product (features), with the aim of acquiring new customers and encouraging existing customers to upgrade to Swisscom TV 2.0. Thus the landing page, core of the 2014 online camapign, informs users about the four key features. The user who wants to find out in detail has numerous feature animations at hand which answers any question.